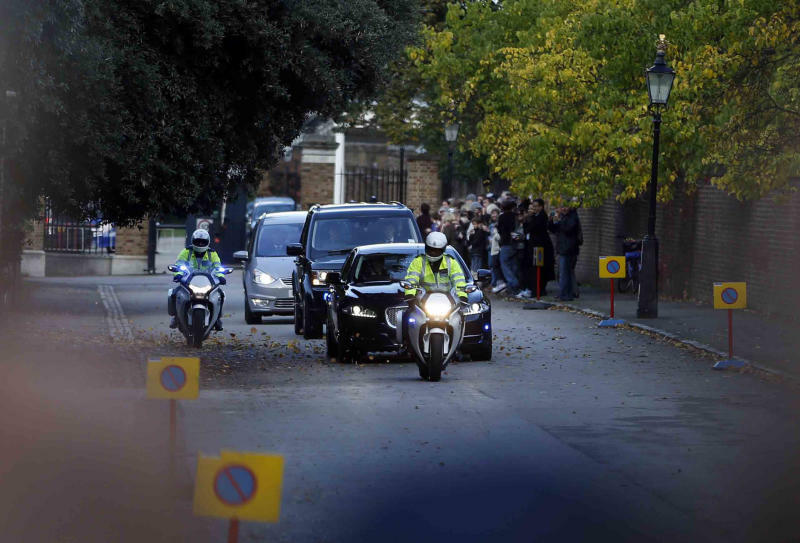 LONDON (AP) — Britain's 3-month-old future monarch, Prince George, was to be christened Wednesday with water from the River Jordan at a rare four-generation gathering of the royal family in London. George, the son of Prince William and his wife, Kate, will be christened by Archbishop of Canterbury Justin Welby at the Chapel Royal at St. James's Palace. The infant wore a replica of an intricate lace and satin christening gown made for Queen Victoria's eldest daughter and first used in 1841. Kate wore a cream-colored dress and matching hat with her long hair brushed to the side. The queen and her husband Prince Philip are attending the event Wednesday, along with Prince Charles, his wife Camilla, Prince Harry and other royals. Kate's parents Michael and Carole Middleton and her sister Pippa and brother James are also on the guest list. William and Kate have asked seven people to be godparents to their son, who was born July 22 and is third in line for the British throne. They are: Oliver Baker, a friend from St. Andrews University; Emilia Jardine-Paterson, who went to school at the exclusive Marlborough College with Kate; Hugh Grosvenor, who is the son of the Duke of Westminster; Jamie Lowther-Pinkerton, a former private secretary to the couple; Julia Samuel, described as a close friend of the late Princess Diana; Zara Phillips, who is William's cousin; and William van Cutsem, a childhood friend of William. Palace officials said tradition would be followed and water from the River Jordan — where Christians believe Jesus Christ was baptized — would be used for the christening. The river's waters have often been used to make the sign of the cross on the heads of royal infants. 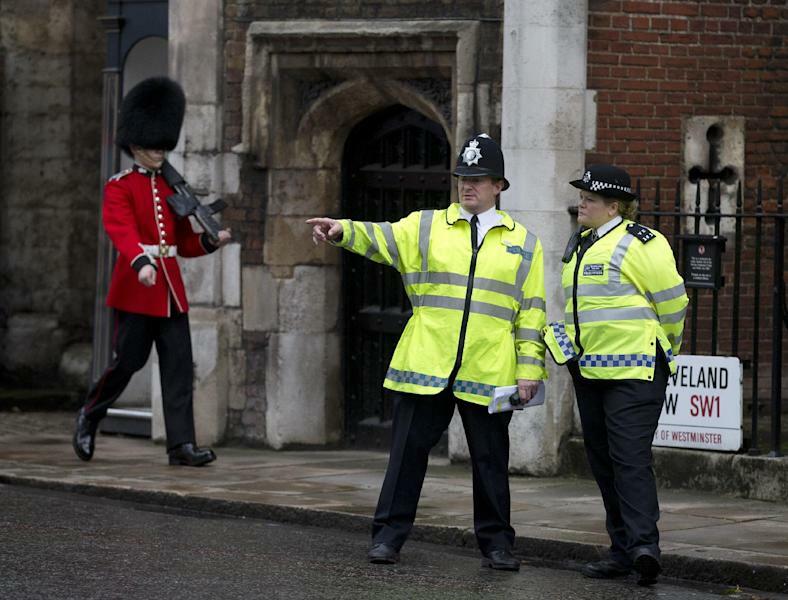 Charles and Camilla plan to host a private tea afterward at their Clarence House residence. 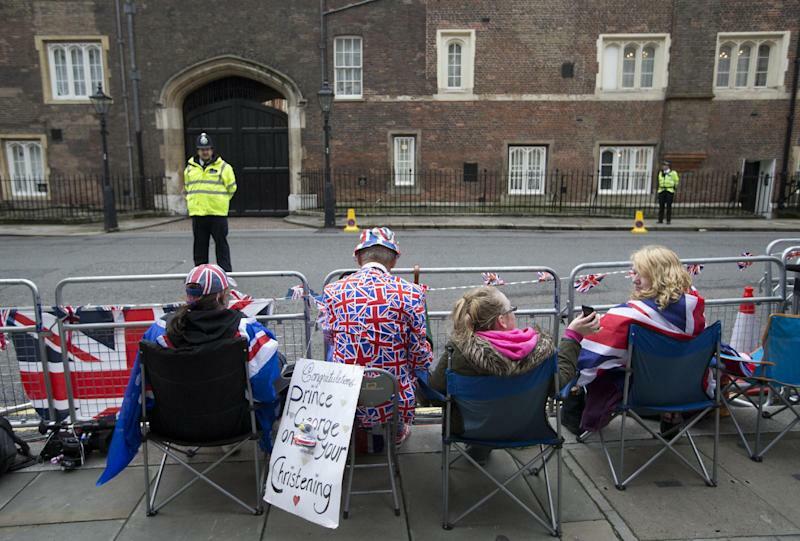 Some royal watchers have camped outside the palace for more than 24 hours to obtain a good vantage point for watching the guests arrive, but the ceremony will be private. William and Kate have hired photographer Jason Bell to take official pictures, which are expected to include a historic multi-generational photograph of the queen with three future monarchs: her son Charles, her grandson William and her great-grandson George. The official photographs are expected to be released to the public the day after the christening.